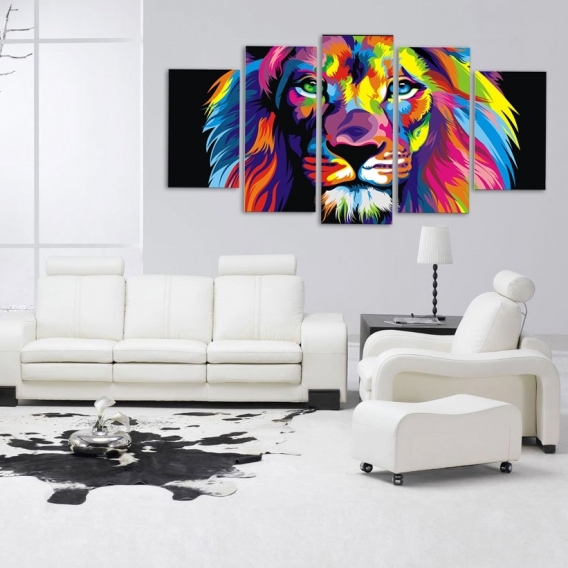 The king of the savannah in a large design canvas ! 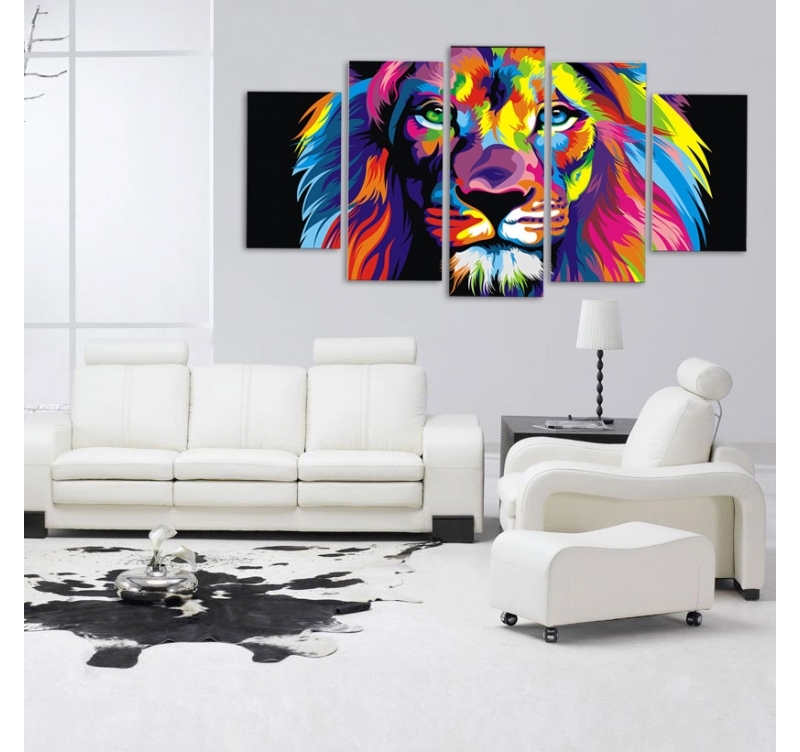 A colorful and original version of this majestic lion canvas for your home. Delivery around the world for this printed animal canvas. A printed canvas that sets the mood in your home ! 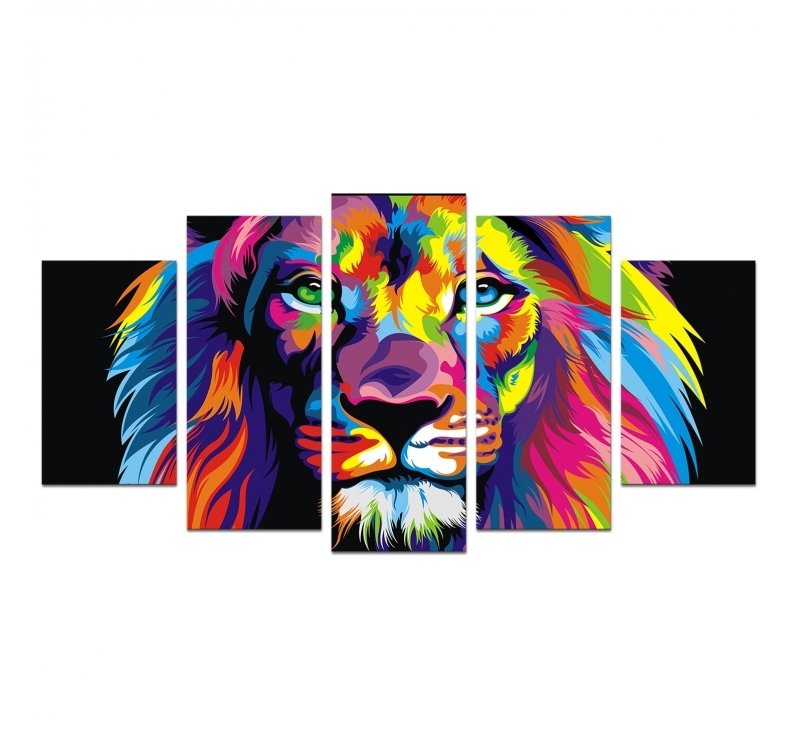 This lion, with a touching look, comes in a multicolored decorative frame that will be the centerpiece of your decoration. On a black background, this design frame can be integrated into any wall to make it a true work of art. 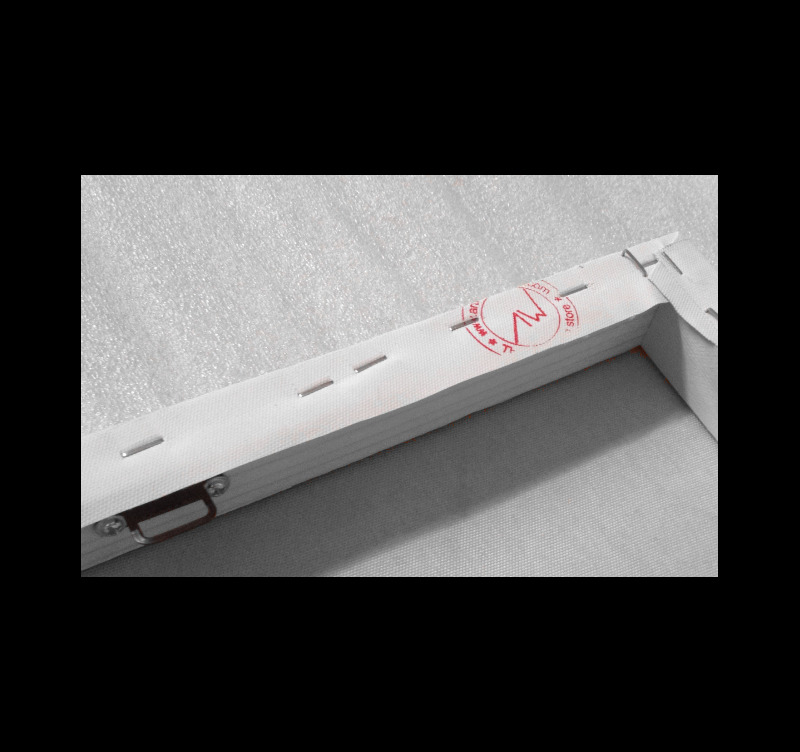 The size XXL with its 5 frames will allow you to cover the whole space while proposing an innovative design. 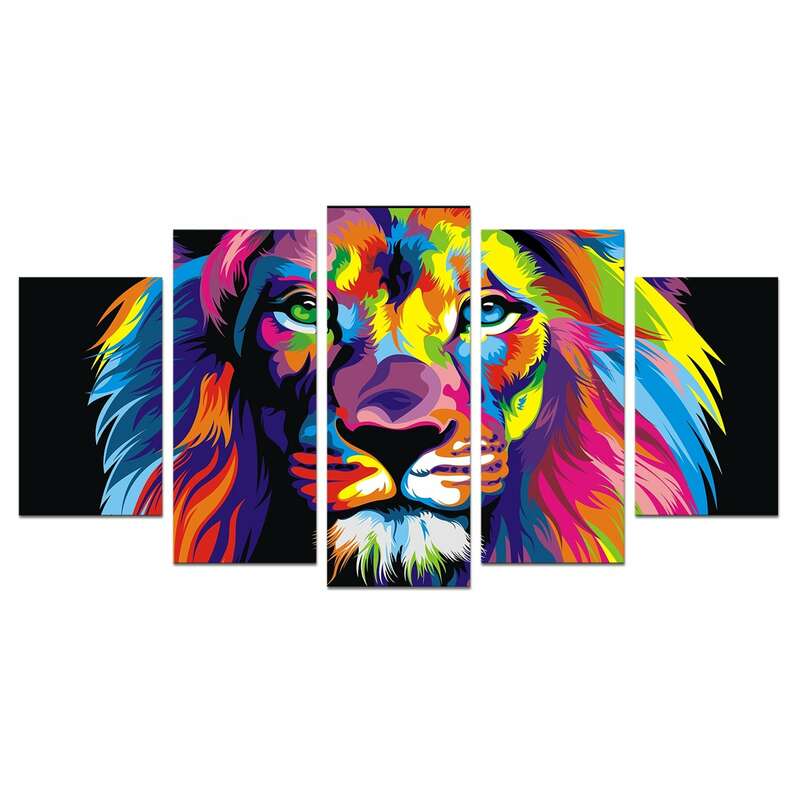 The mane shining with a thousand lights, this lion imposes here in true king of the savannah with this modern canvas print. The pop art canvas are delivered in packaging with cardboard corners as well as the hanging hooks. All photo canvases are finalized on a quality wooden frame for a better life of your wall decoration. Trop beau, de très bonne qualité ! Très bien emballé. Tableau top et super rendu une fois installé.